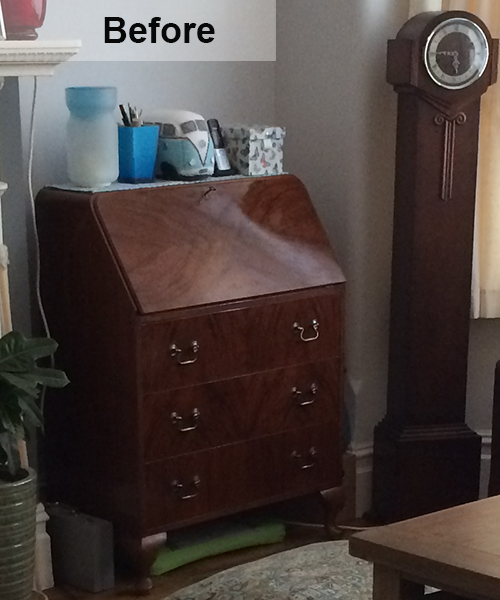 I was given this writing bureau to restore, as it had a few scratches and was looking a bit sorry for itself. At first I simply cleaned and polished it to remove the scratches and lined the drawers. 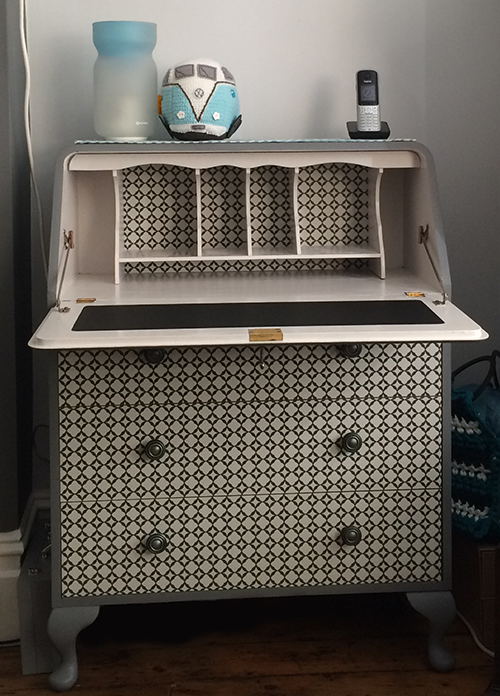 It was a perfect addition to the lounge, giving me a writing desk and storage for my wool. So, having lived with it for a while now I wondered what it would look like painted. I had been reading an Annie Sloane book on painting furniture and also reading about decoupage on furniture, and I thought I would try to mix the two. Rather than purchase chalk paint I used one of the home made chalk paint recipes that I’ve used previously on my catalogue drawers to paint the outside. I then used wallpaper to cover the drawers (luckily the height of the three drawers was exactly the width of a roll of wallpaper!). I cut the wallpaper into three pieces and glued them into position. To seal the drawers and to protect them from general wear and tear I coated them with two layers of Mod Podge. I replaced the drawer handles with these antique-looking ones. I was still able to use the existing holes from the original handles. 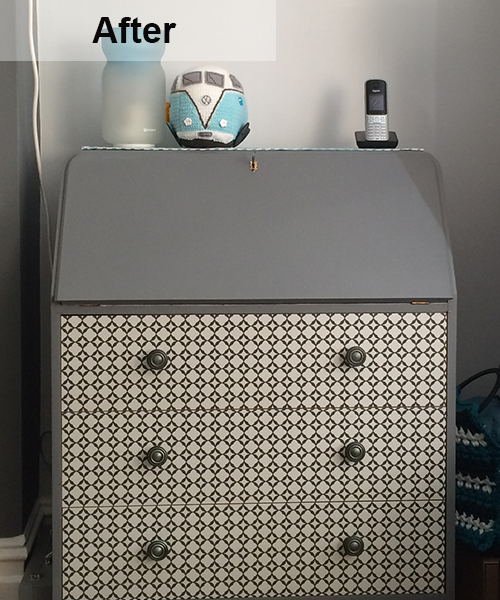 I painted the inside with an off-white egg shell paint, recovered the leather using a black leatherette and added the wallpaper to the back of the desk.